There will be a Refugee Olympic Team at the Olympic Games Tokyo 2020. This decision was taken today by the membership of the International Olympic Committee (IOC) at the 133rd IOC Session in Buenos Aires. The initiative is a continuation of the IOC’s commitment to play its part in addressing the global refugee crisis and another opportunity to continue to convey the message of solidarity and hope to millions of refugee and internally displaced athletes around the world. The IOC Session has mandated Olympic Solidarity to establish the conditions for participation and define the identification and selection process of the team. These elements will be carried out in close collaboration with the National Olympic Committees, the International Sport Federations, the Organising Committee Tokyo 2020 and the UN Refugee Agency, UNHCR. The announcement of the Refugee Olympic Team Tokyo 2020 members will be made in 2020. Back in 2015, the first-ever Refugee Olympic Team was formed by the IOC. Ten athletes were chosen to represent people who are too often forgotten. It was a historic moment in Brazil when a team consisting of refugees participated for the first time ever in the Olympic Games at Rio 2016. 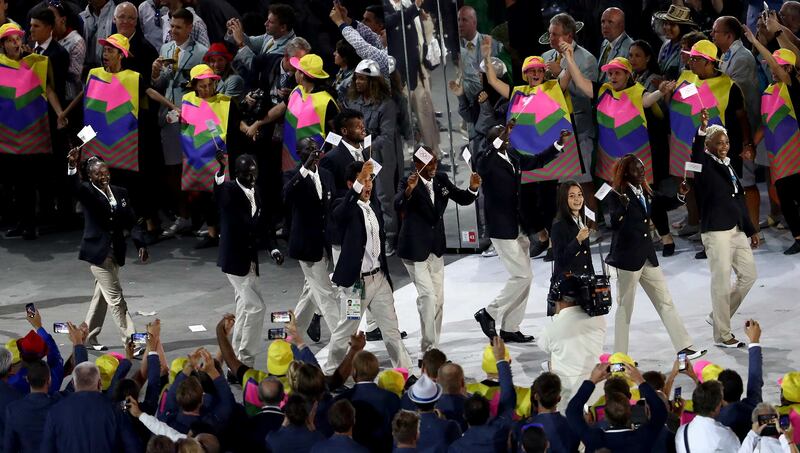 As they marched in the Opening Ceremony, two swimmers, two judokas, a marathon runner and five middle-distance runners who originally hailed from Ethiopia, South Sudan, Syria and the Democratic Republic of the Congo became instant role models for the 68.5 million or so refugees and internally displaced people, and true global ambassadors for the values of Olympism. Since the Olympic Games, the IOC has continued to support these 10 Refugee Olympians, as well as a number of other refugee athletes across five continents via Olympic Solidarity’s Refugee Athlete Support Programme. Through scholarships, which come in the form of monthly training grants and fixed competition subsidies, Olympic Solidarity and their host National Olympic Committees help these refugee athletes to prepare for and participate in national and international competitions. UNHCR, through its long term collaboration with the IOC, plays a crucial role in all stages of selection, approval and follow up of the athletes. Furthermore, in September 2017, the IOC launched the Olympic Refuge Foundation to support more broadly the protection and empowerment of vulnerable displaced people through sport and through the creation of safe spaces; again, partnering with UNHCR and local implementation partners in the field. For the last 20 years, and with the collaboration of UNHCR, the IOC has been providing relief to refugees and internally displaced people by using the power of sport to promote youth development, education, social integration and health. These actions have brought the joy of sport and the related psychological healing to refugee populations in many camps and settlements around the world.